First, simply pick a design you like; We have lots to choose from! Then pick your colour scheme and add your content. You'll get an instant preview of your personalised design. 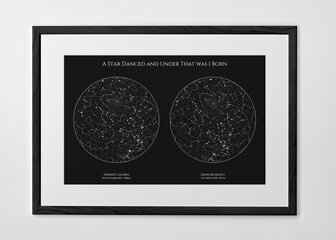 We aim to ship all unframed items within one business day. Easier than getting the whole family to smile nicely for the camera! 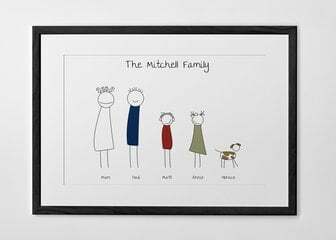 Personalise our stick figure outlines to create your own family print. 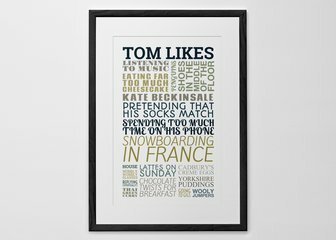 Using our unique design editor you will be able to see your finished item before you place an order. You can make changes to size, format, content, and colour until you're completely happy with the final design. The world is your oyster! 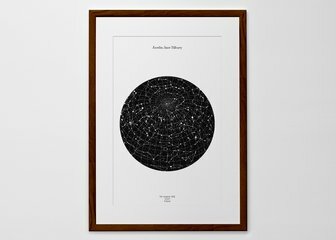 Simply pick your favourite place and one of our six styles to create a perfect piece of wall art. 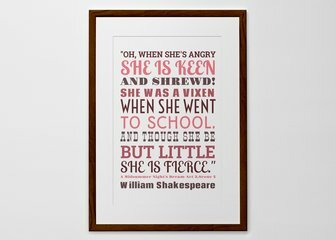 Choose from a range of font options, colours, then just add words. 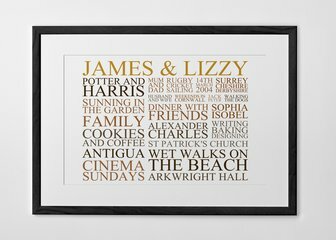 Perfect for quotations, memories & celebrating births. 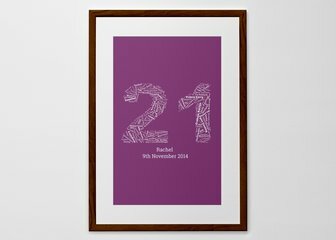 This design is brilliant for birthdays & anniversaries. 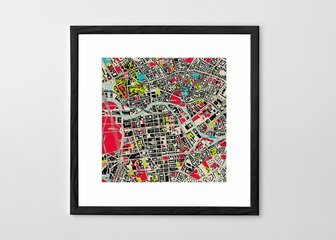 22 colour schemes available in either a portrait or landscape style. 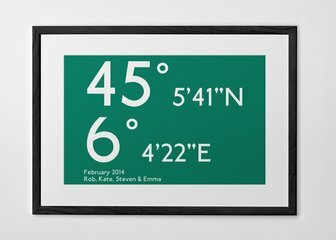 Immortalise a special place with a personalised coordinates print. 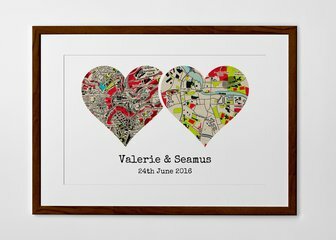 An excellent choice for engagement, wedding & anniversary gifts. 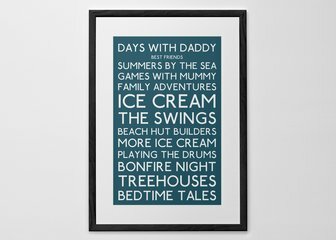 We think everyone should be able to create personalised typography prints, posters and canvases. 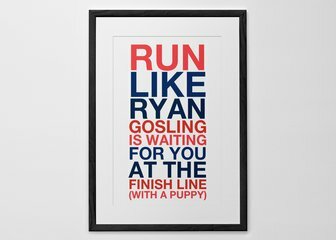 Whether you want a snazzy personalised poster for your office, or a fun gift, we have plenty of templates to choose from.